When your CPA firm has the experience of working with medical practices, you’ll see the difference in your bottom line. At Silverstein & Associates, we’re fully qualified to help you profitably manage the business side of your practice with a full range of medical accounting services and tax planning techniques. Our North Tustin, CA CPA firm is very familiar with the financial challenges that come with the healthcare industry. We know your practice is fighting to juggle patient care with escalating overhead costs and time-consuming bookkeeping functions. The robust accounting solutions we dispense are the remedy to help streamline your financial operations, reduce your tax burden, and keep your practice running smoothly. In addition to accounting support, we’ll ensure your practice is in compliance with all of the latest tax regulations and will formulate a comprehensive plan for limiting your tax burden. 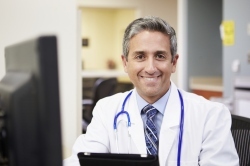 We also prepare both business tax filings and individual income tax returns for doctors. All of these efforts are designed to increase revenues for your medical practice and contribute to your personal wealth. Spend your time caring for patients, not accounting. Call us at 714-838-7767 now or request your free consultation online to get your prescription for lower taxes and freedom from tedious accounting tasks.